The following text was provided by the nice folks from Wood County, Ohio. They recently became part of the WasteWORKS Family and we’re certainly happy to have them on board! “The Wood County Landfill is a publicly owned solid waste disposal facility located in Bowling Green, Ohio, and created by the Board of County Commissioners in 1972. 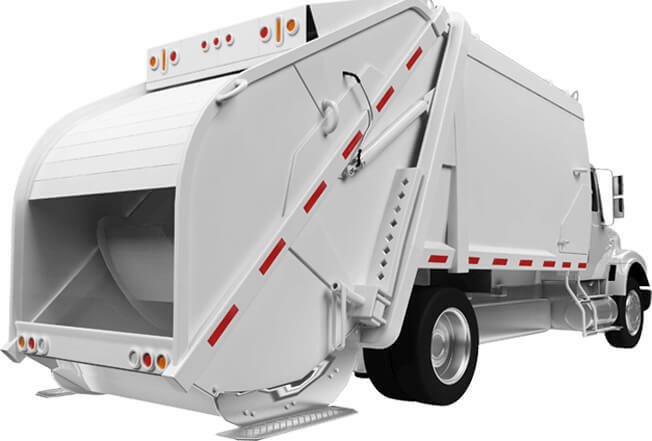 The landfill handles mostly residential waste, averaging 35,000 tons of municipal solid waste per year. The facility operates a licensed Class IV compost site, accepting leaves and grass. Other items accepted for recycling include scrap metal, concrete, and tires. The Wood County Commissioners recently authorized moving forward with plans to apply for a long-term expansion permit, which will allow for an estimated 100 years of disposal space. The Landfill has also become somewhat of a tourist attraction for many who come to visit the first commercial wind farm in Ohio. The Bowling Green Farm Project, a joint venture between the City of Bowling Green Public Utilities, American Municipal Power-Ohio, and Green Mountain Energy Corporation, began with the installation of two 1.8 megawatt size wind turbines on landfill property in 2003, and then an additional two units in 2004. A new 1,700 square foot scale house was finished in August, 2014, replacing the original offices, and is now in full operation. This much needed change increased the amount of room the staff had to conduct business. The change also prompted staff to explore options for replacing the landfill’s almost 15-year old scale software program. 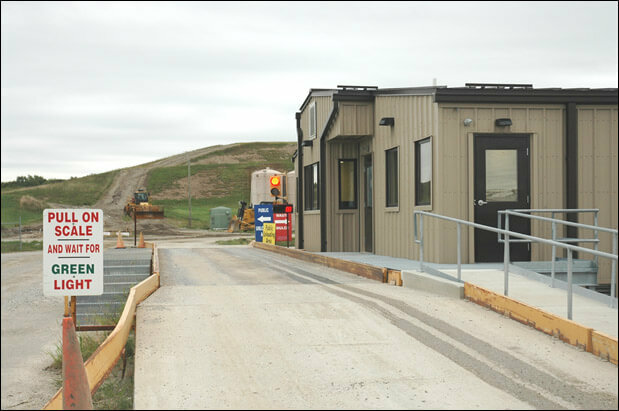 After seeing a WasteWORKS demonstration at Erie County Landfill located in Milan, Ohio, and hearing only positive reviews from Erie County and others using the software, the Landfill made the decision to implement WasteWORKS in February. Kenan Morisey traveled to Bowling Green from North Carolina to provide landfill staff with three days of training during one of the worst weather weeks Northwest Ohio has experienced in several years (receiving close to a foot of snow in two days!). This on-site training allowed for employees to run through various scenarios the first day and then real-life ticket transactions the next two days, while having tech support physically available to guide them through the process.